T. V. Reed is the Lewis E. and Stella G. Buchanan Distinguished Professor of English and American Studies at WSU. He grew up in the San Francisco Bay Area, did undergraduate work in the Northwest, and his PhD at the University of California, Santa Cruz History of Consciousness Program. There, when not in jail for civil disobedience against the US empire, he had the good fortune to take graduate seminars from Michel Foucault, Donna Haraway, James Clifford, Gayatri Spivak, Edward Said, Fredric Jameson, Henri Lefebrve, and Hayden White, among others. That experience, in addition to instilling some particular theoretical approaches, taught Reed two important lessons: 1) even the most celebrated theorists are just flawed human beings with embodied intellectual limits like the rest of us; and 2) the best theorists do not fetishize their own theories but are rather in a constant state of evolution and self-questioning. Reed’s work deals with the relationship between cultural forms and social change. He is the author of Fifteen Jugglers, Five Believers: Literary Politics and the Poetics of American Social Movements (U of California Press), and of The Art of Protest: Culture and Activism from the Civil Rights Movement to the Streets of Seattle (Univ. of Minnesota Press). The former charts a relationship between social movements and literary theory, while the latter retells the history of key US social movements from Civil Rights era to the current movement against corporate globalization through the lens of cultural forms (music, murals, poetry, drama, etc.). His most recent books are Digitized Lives: Culture, Power and Social Change in the Internet Era (Routledge, 2014), and Robert Cantwell and the Literary Left (U of Washington Press, 2014). Reed’s articles on James Agee and E.L. Doctorow have appeared in Representations and American Literary History. He is the author of the most widely used bibliographic essay on “Theory and Method in American Cultural Studies,” appearing originally in American Studies International, and now also available in a much-expanded online version. Reed has also published articles on apartheid and popular music, on Native radicals in film, and on environmental justice ecocriticism, among other topics. Reed has been very active in Digital Humanities, in both the study and the use of electronic media in cultural studies. He is the author/manager of the widely visited website, culturalpolitics.net, that includes sites on Digital Cultures, Environmental Justice Cultural Studies, Popular Culture, Social Movement Cultures, and Interdisciplinary Cultural Theory. In recent years, Reed has published several articles in the area of interdisciplinary peace studies, focusing on aesthetic/cultural forces within the US and international peace movements. He has as well published on decolonial environmental justice cultural criticism in Leslie Silko’s novel, Almanac of the Dead. A piece on the cultural study of social movements will appear next year in the leading European handbook on social movement theory. Reed has been a Visiting Scholar at the Center for Cultural Studies of the University of California, Santa Cruz, a Fulbright Senior Lecturer at the JFK Institute for North American Studies in Berlin, Germany, and a Mellon Fellow at Wesleyan University. He was co-chair of the national American Studies Association’s conference for 2002, has been a member of the ASA’s national council and was one of two nominees for the organization’s presidency in 2011. He has long worked for the internationalization of American Studies, the effort to undercut the ethnocentrism too often found in the field, and has been involved in projects with universities in Germany, Ukraine, Morocco, the Peoples’ Republic of China, and Japan. 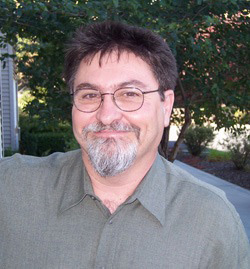 Reed has supervised more than twenty dissertations while at WSU, and dozens of master’s theses on a variety of topics in literature and American Studies. Three recent thesis titles can suggest the range of his interests: “Queer Temporality in Multiethnic US Literatures,” “Digital NDNs/Indians,” and “Narrating Other Natures: A Third Wave Ecocritical Approach to Toni Morrison, Ruth Ozeki, and Octavia Butler.” Reed is currently on leave at York University in Toronto, but is very open to working with new graduate students interested in digital humanities, post-1960s US fiction, ecocriticism, social movement literatures, or other topics in the politics of culture in a late 20th or 21st century US context.